This is my 300th post on this blog. Today I’m not going to be posting about running, and not just because yesterday was a Rest Day. With it being a mile stone, it seems a good time to stop and look at life in general. I heard a line on the radio (NPR, in “In Which Way, a War Photographer in his Element”) this morning that got my mind working. We are rich. We have so many choices in life, that even when most of us think life is hard, that we are at a “low” point – we are so much richer than most people in the world. We have choices and opportunities that most people in the world can’t imagine. We raise our families and can put our kids in programs that our grandparents couldn’t have envisioned if they tried. It isn’t just these things that make us rich either. There are so many things beyond money. Me? When I look at the world in general, I have to admit – I am wealthy beyond all imagining. 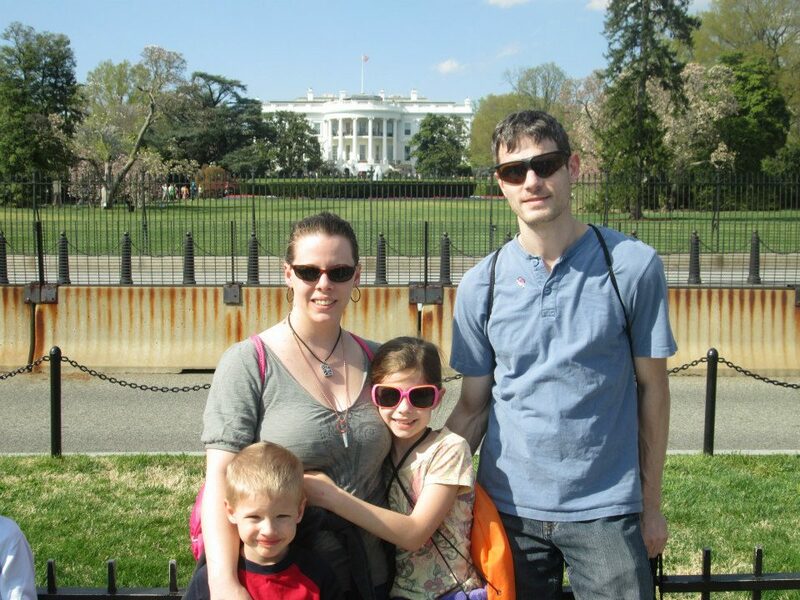 My amazing family – last weekend in front of the white house. My wife is an amazing woman, that in addition to putting up with me and my. umm. quirks, it an incredible mother and a hard worker. She will make an amazing dinner (without extra trips to the store like I require,) just to let us know she cares (even on non holiday/birthdays!) She will sit for hours showing the kids crafts, making jewelry with them or helping them with something. She is smart, witty, beautiful and thoughtful. My son is a fantastic kid. While I am of coursed biased, I get told this by everyone that interacts with him. Adults in my neighborhood, the day I meet them, start to tell me about the times my son has helped them clean up their lawn, wax their car, watch their toddler as they ran inside to get something or more. He is empathic, thoughtful and polite, and has the voice (and heart) of an angel. Unfortunately, he throws a ball like his dad. My daughter is an awesome kid. Again, I know – I’m biased, but this too I am told about by other adults. I hear about how she stops and helps little kids as they play. How she works hard to make new children feel welcome. That she doesn’t have any problems letting people try her new toy. That she is always polite. 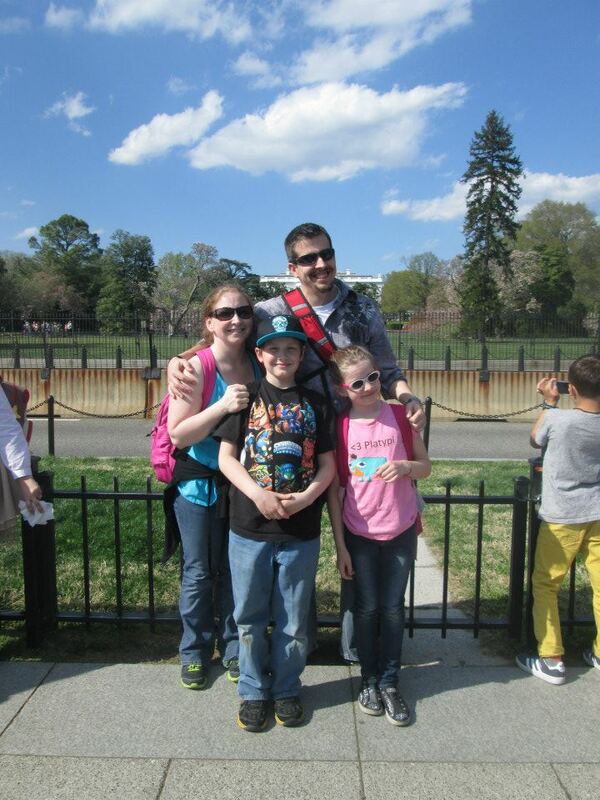 Everyday I realize how lucky I am that these three are not only in my life, but are an active part of it. I would be wealthy beyond belief, even if these were the only wonderful people in my life. With that thought, understand – they aren’t. Often when a person moves, they lose their friend. The distances are “too great” or simply don’t find the time. Our best friends up in NY were hard to leave behind (they refused to get in the back of the moving truck.). We met Kory back in 1997, his (now) wife not too long after that. Their two kids? We met each of them within 24 hours of their birth. I totally stole this from Jenn’s Facebook page without asking..
Countless dinner parties, birthday parties, picnics and outings occurred with both families. Heck, I officiated their wedding, and Jenn was my wife’s maid of honor! That is a hard friendship to move away from. While my wife and I worried about losing them, we have seen them several times when we have gone back to NY – and they have come down and visited us twice so far! They did this WHILE Kory is going to school and working – both full-time! We have been fortunate enough to be able to bring them to the National Aquarium in Baltimore, the Natural History Museum in Washington DC, and walk though some of the monuments with them. Is this not a true wealth of experience and joy? My parents (also amazing people!) have been down to see us two times, with the third being this weekend. 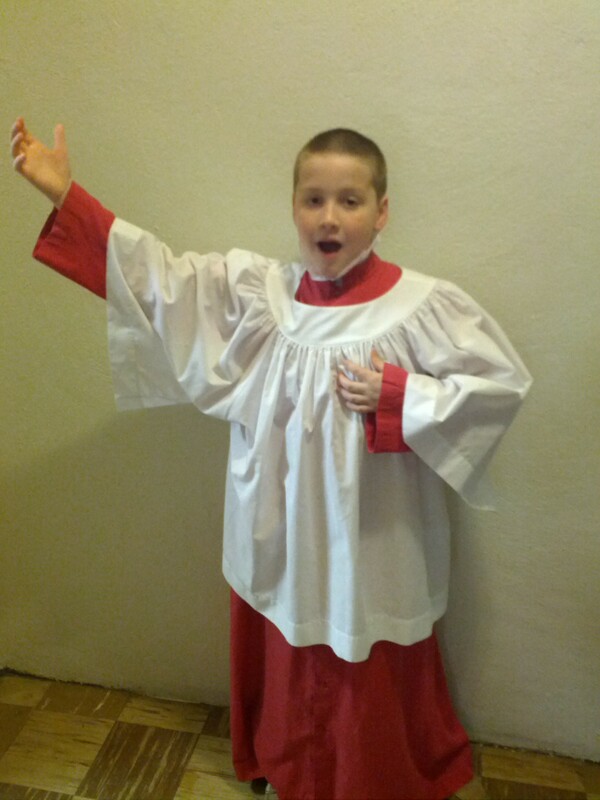 We are all going to go see my son perform in the Maryland State Boychoir for their spring Concert. Even the move itself. I was able to move due to an awesome job opportunity. I still had a job in NY, this was an opportunity, a choice that my wife and I got to make for our family. She was able to transfer her job down here, and has now been able to put her two weeks notice in there, as she was able to choose another job that was closer to home with better benefits! Look at how rich we truly are! If I were to stop right now, and have nothing else to share – I would truly have to count myself and my life as one of wealth. yet, I’m have more. When we moved down here we found a town house that looked nice, and is right around the corner from a National Blue Ribbon school, and has many kids to for my children to play with. Both kids have more friends and more opportunities within and outside of school then they did in Binghamton. They have magnet schools that they can apply to for Middle and Highschool, with focuses such as Performance & Visual Arts, Science and Technology and even a medical-focused highschool! I certainly can’t forget my blog. I get to choose to write one, and what i put in it. I am humbled that so many people have chosen to read it. In the time I have written the previous 299 posts, readers have chosen to look at the pages on my blog viewed a total of 21,841 times. 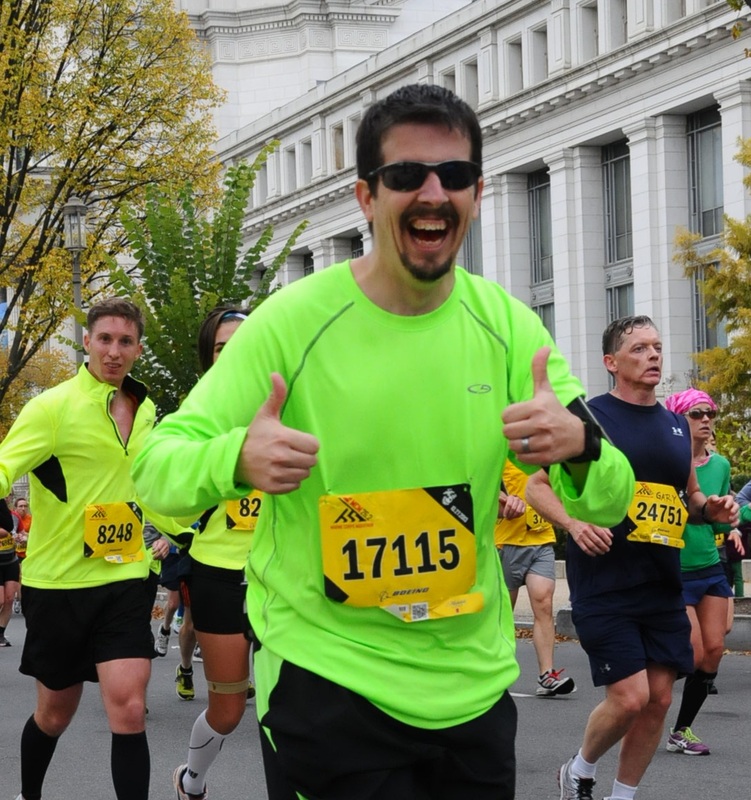 I have no illusions that I am a great runner, a great writer, or even anyone out of the ordinary. I know the wealth it is, to still have people take the time to read what I have to say. I think that when we look at tragedies such as the Boston Marathon, we are forced to face some very dark and scary things. The light that exists in our lives, is far stronger than the shadow that these tragedies can cast. We get to choose on whether or not to dwell on these dark tidings, or embrace the joy and the true wealth that we have in our lives. On my 300th post, a milestone I never dreamed of reaching, I am proud of my life. I am thankful for the wealth I have. I am a very lucky person to be where I am today, with the choices I have today.